Credera is a full-service management consulting, user experience, and technology solutions firm. Our clients range from Fortune 500 companies to emerging industry leaders. 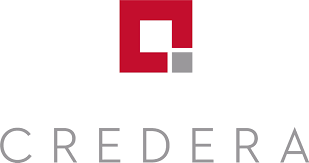 Credera, an Omnicom company, provides expert, objective advice to help solve complex business and technology challenges. Our deep capabilities in strategy, organization, process, analytics, user experience, and technology help our clients improve their performance. Clients depend on our ability to anticipate, recognize, and address their specific needs. Credera works alongside clients to identify, develop, and implement winning strategies that align resources and technology to fulfill their overall vision and mission. The right strategies improve organizational performance by leveraging people, processes, and technology in ways that create value for the organization. Credera Technology Solutions and Strategies Services makes sure clients reduce the delivery time required for custom applications by up to 35%, providing them an opportunity to offer features and functionality ahead of stakeholder expectations. Credera builds and integrates mobile solutions, cloud and infrastructure, portals, eCommerce solutions and more. Credera provides a comprehensive, thoughtful approach to user experience. Credera begins with a deep understanding of your audience, which provides the foundation for building an amazing user experience. Understanding user behaviors, needs, and motivations is critical to the success of any organization. Credera utilizes a variety of techniques to understand how your audience interacts with your website, native application, or other digital experience. Methods include contextual interviews, focus group discussions, field surveys, and persona development. This level of research leads to developing pragmatic strategies based on business needs.